KAREN VIBERT-KENNEDY/Sun-Gazette Loyalsock’s Aiden Gair drives into the endzone to score a touchdown during the game against Danville on Friday at Loyalsock. With 50 seconds to play and one yard needed to forge a tie in Loyalsock’s eventual 41-40 triumph over rival Danville om Friday night at Kenneth Robbins Stadium, it came as no surprise that Lancers coach Justin Van Fleet called on his all-everything quarterback Connor Watkins to close the deal in typical Lancers style – full speed ahead. Trailing 40-34 in the final minute, the Lancers (1-1) made the most of a passing interference penalty, which placed the ball on Danville’s 22-yard line with 1:56 left in the game. Watkins (18 carries, 62 yards, two touchdowns) churned through the defense on consecutive carries to set up the game-tying score. Following a timeout and good-luck handshake from Watkins, placekicker Quinn Deitrick booted the winning point through the uprights. 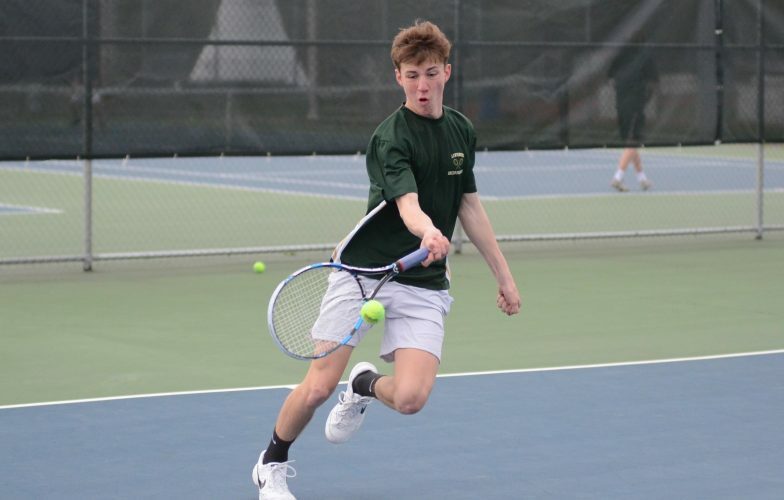 This match between last season’s District 4 AAA finalists at the newly-christened Allison Crane and Rigging Field saw several momentum swings. Early big plays by Danville quarterback Kayden Riley stunned the Loyalsock defense and were key to the Ironmen (1-1) building a 23-6 lead midway through the first half. 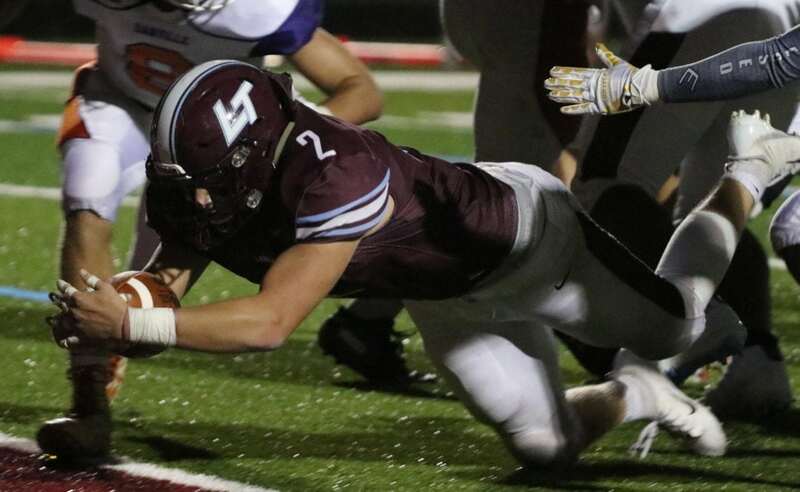 But, as has become typical of the Lancers with Watkins (11 for 23, 183 yards, three TDs) at quarterback, Loyalsock charged back with a series of own big plays, highlighted by a 31-yard laser beam throw down the right sideline and into the end zone to Jaiden Coiffi with 10 seconds to play in the first half. Deitrick’s successful point after touchdown gave the Lancers a 27-26 halftime edge. Loyalsock widens its lead in the third quarter as fellow senior Gerald Ross broke free and hauled in a Watkins pass for a 35-yard TD strike. As one of six lancers to catch passes, he knows that it is important to make the most of his opportunities. Along with the receivers, the Lancers ground game made an impact. Powered by Junior Aiden Gair’s 17 carries for 65 yards, including a key second-half touchdown, Loyalsock was able to keep Danville’s offense at bay following the fast start. 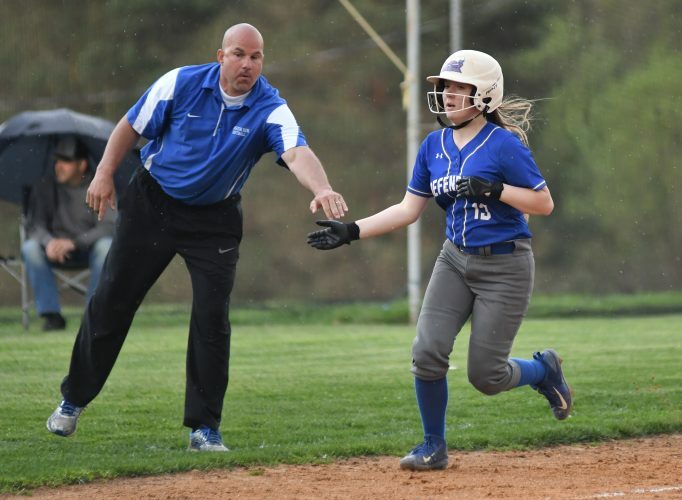 As a team the Lancers racked up more than 300 yards of offense, but also surrendered more than 300, including several big plays in the passing game. According to Van Fleet Loyalsock’s coach staff and its players is looking forward to the work that lies ahead. Loyalsock got the win in its home opener after a disappointing road loss to begin the season, but the maturation of this team is expected from Van Fleet and it will continue next week at Shikellamy.